Dedicated to the oil, gas and energy industry. A team of experts will be your partner in delivering a record breaking event. 19 years’ experience in producing over 750 conferences, exhibitions and training in over 35 countries. CWC Solutions is the leading international events organiser dedicated to the energy industry. With 21 years’ experience of producing over 600 events in more than 35 countries, our passionate team of experts ensures record attendance levels, global impact and increased visibility for our clients. 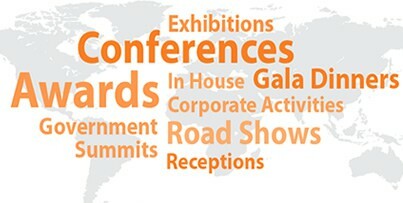 We provide a complete event management solution for organisations, associations and governments around the world. Services include Project Management, Marketing and Communications, Sales, Speaker and Programme Management, and all Event Logistics. CWC will be your dedicated partner in organising your upcoming event. The international expertise we have achieved over the past 17 years is put to use to ensure high attendance levels and global impact.